VietNamNet Bridge – Vietnam has been implementing a lot of CDM (clean development mechanism) projects with 164 projects recognized by the international community, ranking the fourth in the world. The carbon market is seen as the major tool reducing CO2 emissions, one of the four kinds of gas that cause greenhouse effects. The market has been supported by the four main mechanisms stipulated in the Kyoto Protocol – the clean development mechanism (CDM), the joint implementation (JI) and Reducing Emissions from Deforestation and Forest Degradation (REDD). In principle, the carbon project would bring developing countries the opportunities to have budgets for their environment protection, and receive modern technology to be transferred through CDM projects. Especially, they would be able to earn money by selling carbon certificates to developed countries. Despite the heavy criticism, the carbon market has been growing day by day. 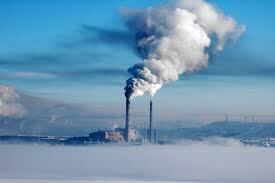 In 2011, the carbon market value reached 176 billion dollars with the total carbon trading volume of 10.3 billion tons. Vietnam has been implementing 164 internationally recognized projects, ranking the fourth in the world in terms of the number CDM projects. With 7 million tons of CO2 receiving CERs (certified emissions reduction). Vietnam ranks the ninth in the world in terms of the number of certificates. RCEE, an energy and environment company, is believed to be the pioneer in Vietnam which implements CDM projects. Until 2008, RCEE had built up 10 projects of this kind. Meanwhile, in 2008 alone, it had 20 more projects. To date, the company has developed 54 CDM projects. Le Thi Bao Ngoc, Director of the Carbon Center of RCEE estimates that Vietnam can earn 24 million dollars every year from the projects. The great potentials of the market have caught the special attention from foreign investors, especially after scientific research works found out that tropical forests can restore 50 percent more carbon than any other types of forests. This has prompted foreign investors to jump into the carbon market in Vietnam, developing a series of afforestation projects. These include the one initiated by Voluntary Finance Company from Australia which has been implemented with the cooperation with Vietnam Carbon Exchange in the Tam Dao National Park in Vinh Phuc province. The project was kicked off in last August. It is expected that the project would absorb 40,000-50,000 tons of carbon every year. When obtaining CERs, investors would be able to sell the certificates to Australian companies, or on the international market. A senior executive of Vietnam Carbon Exchange has revealed that besides the project in Tam Dao, it would invite foreign investors to the carbon projects in the Bach Ma National Park in Thua Thien – Hue province, Xuan Son in Phu Tho and Ba Be in Bac Kan province. “We hope that we can sell CERs after five years,” he said. The forest research and development programming institute, an arm of the Ministry of Agriculture and Rural Development has started the project on calculating the carbon reserves and assessing the forest changes. Nguyen Phu Hung, Deputy Head of the institute, has affirmed that a lot of Japanese enterprises are seeking to buy CERs from Vietnam. However, since there has been no reliable research work about the carbon reserves, Vietnam still cannot give the answer about how many CERs it can sell. However, the prices of CERs in CDM projects have been falling dramatically. In 2008, a certificate was traded at 20 euro, while it is now just one euro. The Kyoto protocol would be expired this year, while involved parties have expressed the worry that some of the industrial economies would not respect the provisions of the protocol.